Equine Therapy practitioners in Lincolnshire … Including physiotherapy, aromatherapy and back muscle and joint specialists. In the world of human medicine, physiotherapists, aromatherapists, reiki healers and chiropractors have been proven as an indispensable aid in the recovery of many muscloskeletal conditions. Today equine therapy and other alternative areas of medicine are rapidly becoming a recognised tool in the prevention, cure, and rehabilitation of many equine injuries. 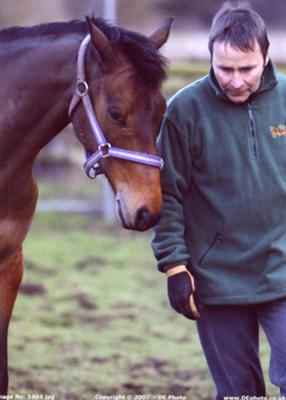 Find a local equine therapist who will diagnose and treat your horses injury and offer you advice on what you can do to ensure your horse remains fit and healthy. No need to drive around Lincolnshire or call all the therapists in the phone book, just check our local listings and give your local equine physiotherapist or chiropractor a call. Covering Lincolnshire and around the country. David Veasey EqDT is based in Lincolnshire, but works around the country as an equine dentist and professional horse clipper. Acunpuncture & Homeopathy, also offers herbal treatments – ask for David Hopper. Consultations take place at the practice by appointment. Cases must be referred by the owners veterinary surgeon. Equine Sports Therapist using McTimony manipulation along with sports massage, stress point therapy, Equissage and stretching exercising to relieve pain, restore movement and increase performance. If your horse is experiencing behavioural problems, a sore back, head shyness, uneaven muscle tone, reluctant to jump or a whole host of other problems, then they could benefit from massage therapy. All work covered by full professional indemnity insurance. Offering a mobile service with my natural understanding and intuitive feelings with horses I am able to offer a rewarding Equine Massage Therapy Service, for both the horse as well as the owners peace of mind.. An alternative therapy used to promote the recovery of damaged tissue and prepare the horse for exercise. 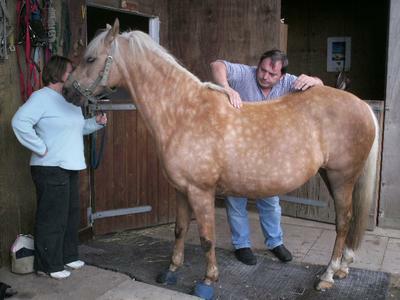 Equine Massage plays an active role in helping to maintain the older, younger, hard working and retired horse. A relaxed, stress free horse, is a happy horse. Mobile Equine Dentist. Teeth rasping and dental hygiene – UK Trained. NFU approved. Fully insured. Prompt, caring professional service. Covering Derbyshire, Nottinghamshire and the East Midlands. EQUINE DENTISTRY. Qualified through The British Equine Veterinary Assoc. and The British Veterinary Dental Assoc. UK/USA trained. Fully Insured, professional service. Midlands based covering Lincolnshire and around the country. DEFRA/Royal College of Veterinary Surgeons Qualified. Member of Worldwide Association of Equine Dentists. 14 years experience with all types of horses. 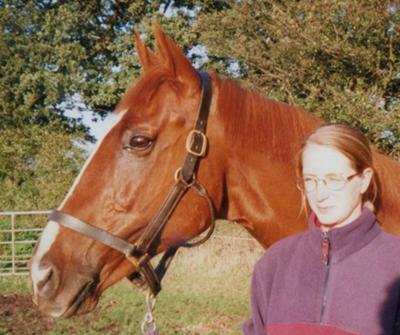 Pinklights Holistic Therapy PinkLights Holistic Therapies – Treatments for you and your horse. Problems with your horse or pony? Reiki may be just what you need. Who in the UK, can legally treat a horse. Normal Veterinary Treatment: An interesting point on "normal veterinary treatment". Not even a vet is entitled to administer a complimentary equine therapy treatment unless he or she has been properly trained to administer that particular treatment. For example a vet can’t give a homeopathic remedy or acupuncture to an animal unless they have been suitably trained to do so. only able to give an injection if instructed to do so by your vet. A Veterinary surgeon, under the terms of the Veterinary Surgeons Act 1966, is legally able to give any normal veterinary treatment he or she deems appropriate to the animal in question.Your vet may also instruct a trainee vet, a vet nurse or a trainee vet nurse to administer treatments to an animal. Journal of Clinical Psychiatry cheap nizoral shampoo 67 9 135461..